Elizabeth joined Mission in Motion Cycling Team in 2012. She has raced locally at the Binghamton Circuit Race, Tour De Syracuse, and Waverly Glen Challenge! Elizabeth competed in the Chris Thater Memorial Races in 2012 and placed 3rd in her age group. Congrats to Dana, IronWoman in 2014 and 2016! 2011 2012 NYS Criterium champion! 2010 NY CROSS Series Cat 4 Women’s Champion! Dana competed in 27 race events in 2011! Her top results include winning the New York State Criterium Championship, 2nd in the New York State Road Race Championship and 4th in NYS Time Trial Championship! 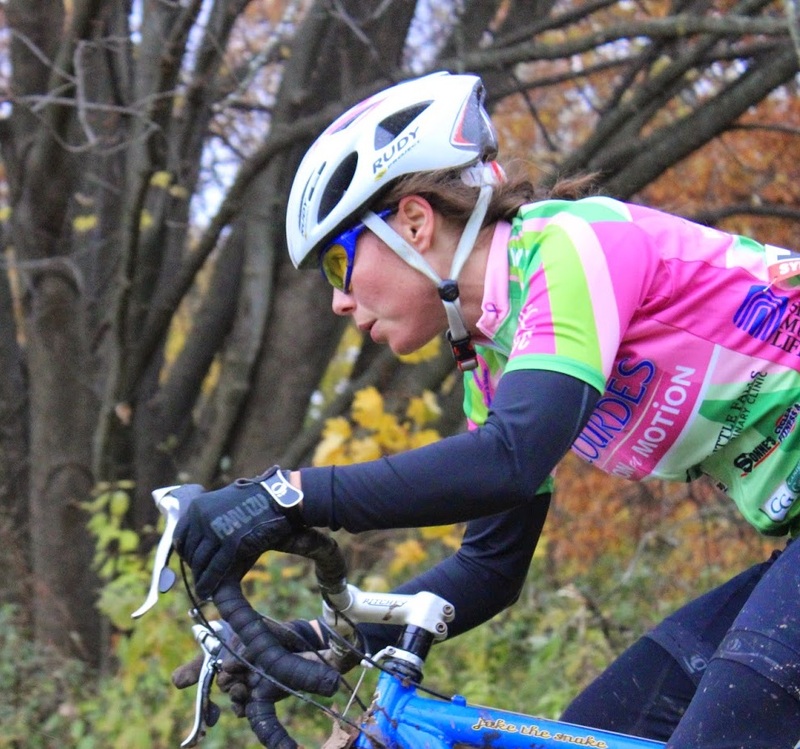 Dana has had an amazing 2012 season winning the Binghamton Circuit race, 2nd in Tour De Syracuse, and 2nd in the NYS Road Race championship and recently earned her upgrade to CAT 3! Dana focused on triathlons winning her age category in many of the Triathlons she entered. 2013 NYS Road Race Championship Silver Medalist! 2012 TVC best female rider! Jennifer was new to Mission in Motion as of 2012 and new to road racing as well. She was happy to take part in Tour of the Battenkill, Tour de Syracuse, Wilmington-Whiteface Road Race, Women’s Woodstock Cycling Grand Prix, Hunter-Greene Summer Classic Hollenbeck’s, Corning Circuit Race and the Binghamton Circuit Race. A dear friend and a family member are breast cancer survivors so Jennifer is very proud to ride for Mission in Motion and raise breast cancer awareness. Charlsie is a heroic member of our team! She is a brain cancer survivor who in 2007 and again in 2011 recovered from surgery to remove the remaining cancerous tumor. She had several top-ten finishes at the National Cycling Championships in 2006 & 2007. She held the 2006 title for NYS Junior Women’s Time Trial Champion, Road Race Champion, and Criterium Champion, and also the NYS Junior Criterium champion for 2007! Her courage and dedication are carrying her toward her dream of becoming a professional cyclist. Jo is a triathlete member of Mission in Motion. She is also a member of the Broome County Triathlon club and competes regularly in many triathlons and running races. Lorrie is an avid mountain biker,team supporter and a super organizer for club trips, gatherings & camp outs! Mary Beth joined Mission in Motion in 2012! She competes in road, cyclocross, triathlon and running races! Mary Beth is an experienced graphic artist and has helped with our uniform design. TVC 2010 Best New Female Rider! Sue began racing in the middle of the 2010-racing season after training for the Broome County triathlon. Sue competes in road running races, local club road races and time trials and raced in the Chris Thater Memorial Cycling Race and 5k run! TVC 2011 Most Improved Female Rider and TVC 2013 3rd place in Women’s Time Trial. Tiffany has been a team supporter for several years and was finally drawn into the racing aspect in 2010. Tiffany has participated in club weekly races and time trials, area road races, and cyclocross – her favorite. She has also raced the Binghamton Bridge half-marathon and the Broome County triathlon. Tiffany is an volleyball coach for Maine Endwell. 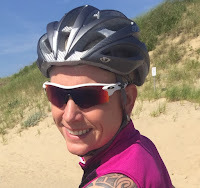 Alison is a runner and cyclist and trains with her husband Brad, who is a racer on the Ruud cycling team. 2014 NYS Time Trial Champion! Victoria Harris-DuBois is a Lecturer of Chemistry at SUNY Oneonta and is relatively new to racing. She started training for her first half marathon 5 years ago and with the support and encouragement from her fiance' Corey, has since added triathlons and cyclocross to her racing schedule. She enjoys spending time with her two active boys, Ryan and Cameron, training with Corey, as well as her other outdoor hobbies such as bee-keeping. 2008 NYS TT Bronze medalist & Empire State Games Bronze medal in Masters Crit! Rebecca is returning to racing after 30 years. As a youngster in '77and '78, she was a NYS Time Trial champion. Her goals now are to stay healthy, promote the sport of bike racing, provide support to the team, and increase awareness of the Mission in Motion mobile health program. She is a local high school teacher and enjoys running, downhill skiing, weightlifting, and reading. She is proud to be a member of a team that supports women's health through intense athletic endeavor. 2010 New York State Cyclocross Championship SILVER Medalist! Won 2011 Chris Thater Cat 4/Womens Citizen race. 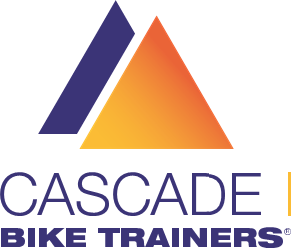 Ranked 8th in state for Cat 4 Womens Road/ Cyclocross season. Jackie is very busy as a Mother of two future cyclists and she is also the Food and Beverage Director of the Binghamton Club. Christa has been pedaling competitively since age 7 and cycling since 2000. She has raced many road races and criteriums for Amgen, Mission In Motion, Independent Fabrication, and Maxpower. She returns to the Mission In Motion Womens Cycling Team because of a strong belief in its cause to promote womens wellness. As a healthcare provider she believe one's health is the path to their happiness and successes in life. 2014 Masters women NYS Time Trial Champion! Marsha is Director of Treasury Operations for Security Mutual Life Insurance. She began racing in 2002 and enjoys all aspects of cycling, Mountain Biking, Road racing, Cyclocross, running & Triathlons. Marsha helped form this team to promote good health in women and to encourage women's racing. She also enjoys cross country skiing, snowmobiling and spending time with her husband, Pat and their yellow Lab, Champ. Marsha is also a licensed Level A official for USA cycling. Sue is new to Mission in Motion! Sue is also a runner and came out to the Utica Boilermaker to cheer on her teammates in the run. We look forward to riding with her! Many of you met Liz at Thater 2011, she was helping run the bake sale tent while we were racing! Liz is also a mountain biker and has been in the marathon running and triathlon scene for a while and we are so excited to have her join us spread the word about fitness, cycling, and our mission for fighting breast cancer! TVC 2011 Best New Female Rider! TVC 2011 Women’s Time Trial Champion! Angela placed 2nd at the NYS Mountain Bike Series and 1st place age category at the Butternut Valley Time Trial! Angela moved to the US Virgin Islands, where she still wears Mission in Motion kit. 2006 NYS Road Race Master's Champion! Shelly is a special education teacher at Whitney Point Middle School. She is a former marathoner/ultra-marathoner who loves X-C skiing, trail running, mountain biking, and hiking with her family. Shelley co-founded this team to honor the memory of her best friend, Susan, who fought a courageous 7-year battle with breast cancer, leaving behind two young children. Ariana is new to bike racing in 2012, but has been running and doing triathlons for a couple of years. She is a member or the Triple Cities Runners Club and is excited to be part of the Mission in Motion Racing team. As a mother to Lydia, 13, and Eliot, 1, she has stayed home this school year, but will return to work in the fall as an Elementary School Counselor. Sharon is new to Mission in Motion! We look forward to riding with her! Kathleen is from Whitesboro, NY and a sponsor of our team with her business " Daughter for Hire, LLC". She raced Tour of the Battenkill, Hollenbecks Spring Classic, AVRE Race for Sight (2nd place overall), The Cullman Michelob Ultra Road Race (2nd place overall), the Butternut Valley TT (2nd place in age group) and Chris Thater (1st place overall) in 2012. In the winter, Kathleen and her husband Rich spend many weekends cross country skiing in Osceola. Delana she was Tioga Velo Club's 2014 and 2013 Road Race Champion! 2013 NYS Road Race Bronze medalist! Tioga Velo Club 2012 Women’s Combined Champion and Most Improved Female rider! 2009 NYS Road Race Championship silver medalist! Before turning to cycling, Delana competed with the Women's Rowing Team at Cornell University. Since then, she has been competing in cycling and running races. In 2012 she upgraded to Cat 3 in cyclocross. Delana works a nurse practitioner at Lourdes Hospital. Delana is proud to support breast cancer awareness and prevention while riding with Mission in Motion Cycling Team! Stephanie is new to Mission in Motion in 2013! She started cycling last year and completed her first century in July. She recently placed 3rd in the Cat 4 division at Hollenbecks Spring Classic and is looking forward to racing with the Mission in Motion ladies! Kim enjoys spending time with her husband and her triplets and twins whom she hopes to inspire to be fit and healthy like their mommy! Kim has bicycled all her life. Kim loves the feeling of accomplishment after a ride!